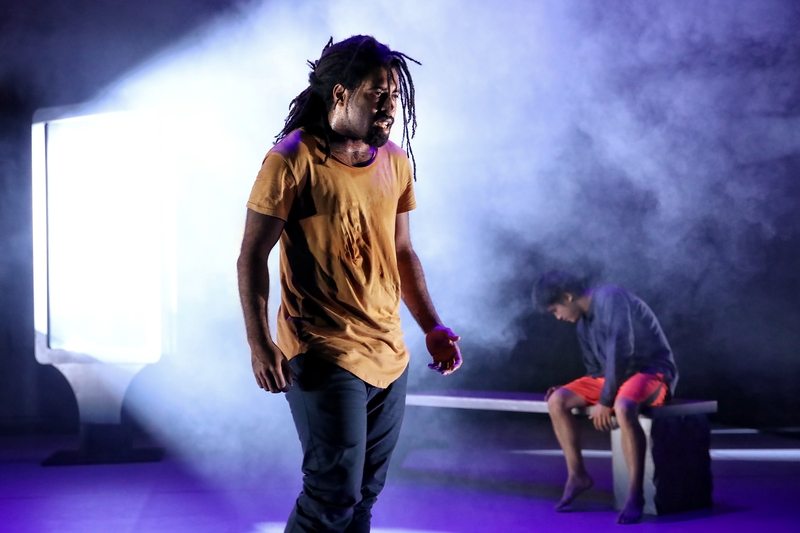 Le Dernier Appel had its World Premiere last week at Sydney’s Carriageworks. The performance was preceded by a moving Welcome to Country by Uncle Raymond Davidson and acknowledgement from Emmanuel Tjibaou, son of Kanaki freedom fighter Jean-Marie Tjibaou. Against a backdrop of discussions about the forthcoming Independence referendum in New Caledonia, and the issues of Recognition and Treaty in Australia, the performances garnered significant media attention and attracted sellout crowds. Audiences were also treated to a special ‘In Conversation’ session with Senator, and Marrugeku Patron, Patrick Dodson and Marrugeku Co-Director Rachael Swain before the Friday performance. The work saw overwhelmingly positive reviews appear in The Australian, Australian Book Review and Neighbourhood (click here for details about the show). Le Dernier Appel will continue its premiere season with shows in Nouméa from 6–8th September, followed by a European tour in December and further Australian dates in early 2019.